Part 1 and Part 3- Vegetable capsule (vegetable fiber and water). Part 2- Ingredients: Acacia fiber. Acacia is a legume and is in the same family as the peanut. If you have a peanut sensitivity, please consult your healthcare professional before using. Part 1- Take 2 capsules in the morning on an empty stomach. Wait 30 minutes and take Part 2. Follow this regimen day 1 through day 7 of this program. Part 2- Take 1 level scoop mixed in 8 ounces of purified water in the morning and 1 level scoop mixed in 8 ounces of purified water in the evening. Follow with at least 8 additional ounces of purified water. Follow this regimen day 1 through day 7 of this program. May decrease to one scoop a day if elimination is sluggish. Drink plenty of water while using this product. Part 3- Take 2 capsules at night with 8 ounces of purified water. Follow this regimen day 1 through day 7 of this program. For over a decade ReNew Life has been helping millions of people live healthier lives through better digestion and nutrition. Foudned by best-selling author and PBS mainstay Brenda Watson after her own battle with poor health, it is now the leading cleansing and digestive care company in America. Brendas passion and dedication have been instrumental in developing a complete line of premium herbal cleansing formulas and nutritional supplements for every need. 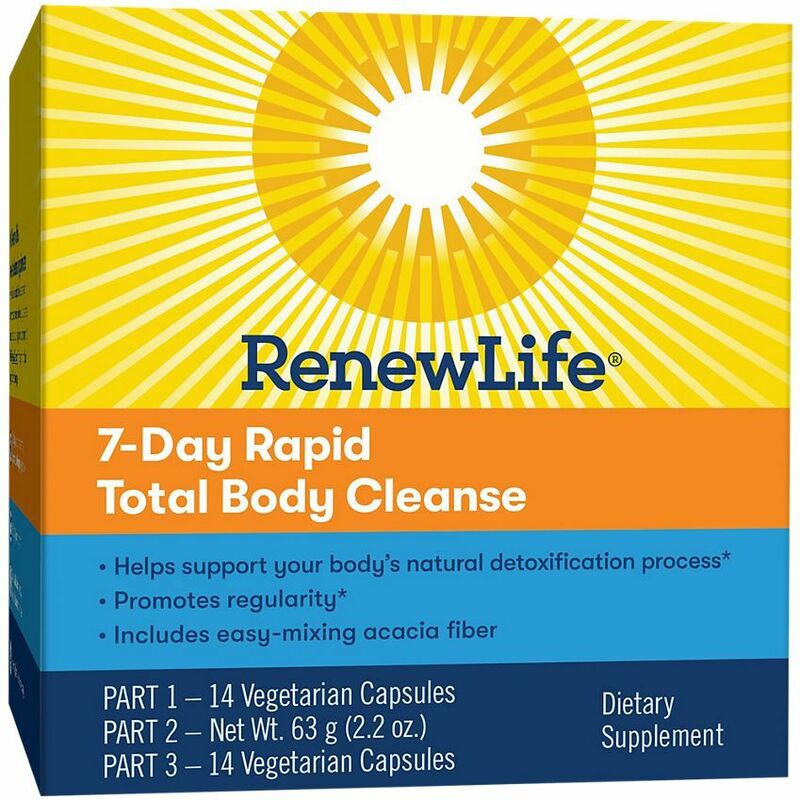 Total Body Rapid Cleanse is a 7-day, deep-acting, total=body cleansing and metabolic jumpstart program. ** Each of the 3 parts us designed to be taken daily during this 7-day period.